With real-world examples and advice on both scientific and legal issues, Practical Environmental Forensics stands on the front line of this new interdisciplinary approach to the environmental litigation process. 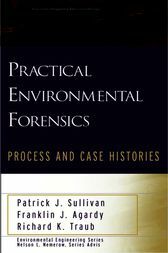 Compiled by experts with decades of combined experience in teaching, research, consulting, and litigation, it is the first book to offer a comprehensive presentation of environmental forensics.The first section provides an introduction to the forensic process, a historical perspective on pollution, and related laws and insurance issues. The book continues with a review of the most commonly used technical approaches and methods employed to support forensic litigation case issues. A third section introduces essential environmental forensic support functions, including admissibility of evidence, expert case management, and the use of mediation methods in settling cases. Finally, the book explores the environmental forensic process through an extensive body of real case studies in which the authors have participated. * Typical forensic cases grouped to illustrate the three main areas of environmental litigation: minimizing damages to clients, allocating damages between responsible parties, and resolution of insurance-related issues For engineers, scientists, attorneys, government regulators, financial and real estate professionals, and the broad spectrum of environmental consultants, this book is critical for all whose work involves environmental contamination. PATRICK J. SULLIVAN, PhD, and FRANKLIN J. AGARDY, PhD, are Partners at Forensic Management Associates in San Mateo, California. RICHARD K. TRAUB, JD, is Founding Partner at Traub Eglin Lieberman Straus in Edison, New Jersey.